The fine arts often go unappreciated in today’s academically focused society. But art is ever-present in the world around us. From the music on the radio to the clothes we wear, it’s an invaluable part of the way we see the world around us and how we go about our lives. Many of our own DHS seniors have exceptional love for the arts, with some even choosing to follow their passion into university programs. Elita Erntsteen’s passion for musical theater originated way back in elementary school. Inspired by her older sister’s involvement in acting and music, Ernsteen followed in her footsteps and started auditioning for roles at a young age. Her love for musical theater blossomed when she was eight, after being cast in a production of “The Sound of Music” and earned the opportunity to go on tour. 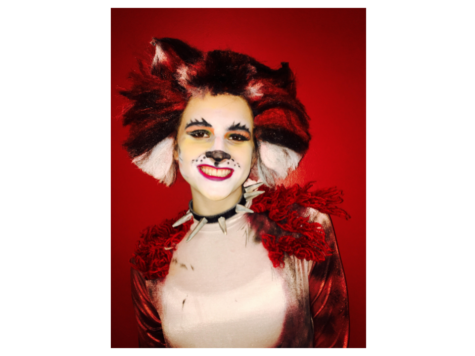 Ernsteen in this year’s performance of “Cats,” the 2017 Spring Show at DHS. Ernsteen will be following her love for musical theater into college. This fall, she will technically be attending Molloy College in Long Island, though she will mostly be taking courses through the Cap21 musical theater program in Manhattan. Ernsteen is excited to major in musical theater and learn even more about the thing she loves in her classes. Peter Morin has been playing the viola ever since third grade, when he first chose the instrument at the Walden Music Fair. From that point forward, his dedication to music continued to grow as he became involved with the Music Institute of Chicago’s Academy for Strings—or “The Academy” for short. “The Academy is essentially a music school outside of high school,” Morin explained. “It’s on Saturdays and it’s pretty much all day so it is a big time investment. It’s comprehensive; so it’s music theory and master classes, which is where a really good player comes in and teaches us. And then we obviously have orchestra rehearsals and chamber rehearsals.” Through the Academy, Morin began to learn more and more about music. Music is still a very important part of Morin’s life. 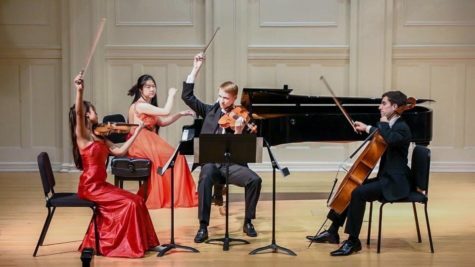 Although he may not be majoring in music in college, he still plans to take many courses centered around orchestral playing and chamber music as a part of his studies. He was also accepted into the National Youth Orchestra, a group of young performers selected through auditions to play on tour and even in Carnegie Hall. “I mostly got involved with that through my peers, which is one of the reasons I like the Academy so much,” Morin explained. “They have auditions in the fall and the results come out in the late winter. And so I auditioned, and after I found out that I got in.” Morin will be touring with the National Youth Orchestra in Latin America this summer before going into college. 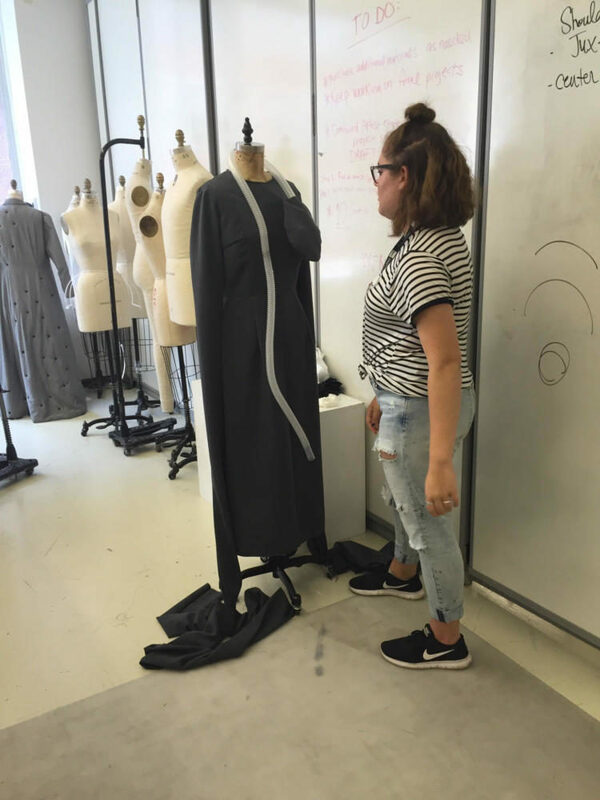 Cassidy Jackson has—as she’s been reminded countless times—quite the “passion for fashion.” It’s an irreplaceable part of her life and as result, this coming fall, she will be attending Pratt Institute in Brooklyn to study fashion design. Jackson at the Illinois High School Art Show, where she won first place in the deisgn category. Like many inspired artists, Jackson’s dedication to her craft only grew as time went on. Although she didn’t sign up for the fashion class at DHS because she was able to read the textbook for the course in eighth grade, she continued to work on her own projects and took classes at the Art Institute of Chicago instead. When the time came for Jackson to apply to colleges, she described the process as a bit stressful. Since she knew she wanted to get an arts degree, the process was a bit different for her. 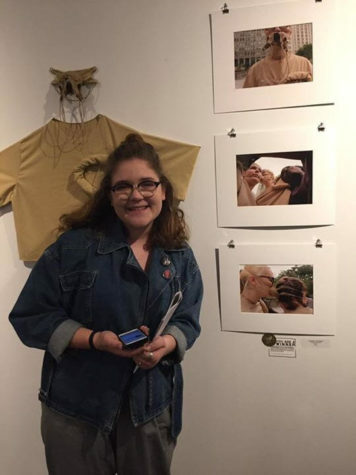 In addition to writing essays and getting recommendation letters, she also had to submit a portfolio comprised of her work, something that she started working on her sophomore year. There are also a lot of stereotypes about being involved in fashion that Jackson has to combat.